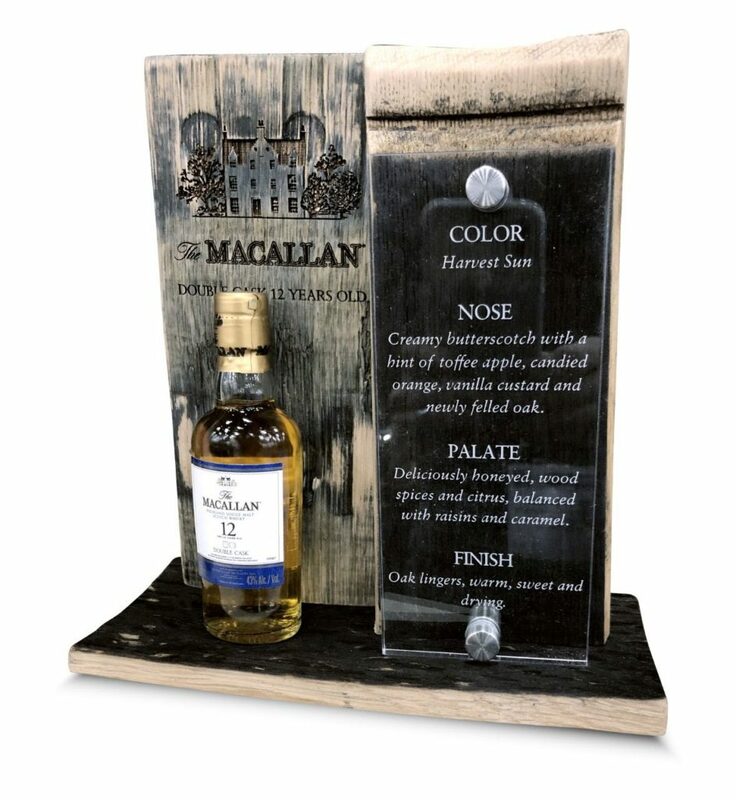 This unique table top display is made from whiskey barrel staves and engraved acrylic. It truly is a one of a kind display showcasing a brand. No two pieces are the same.